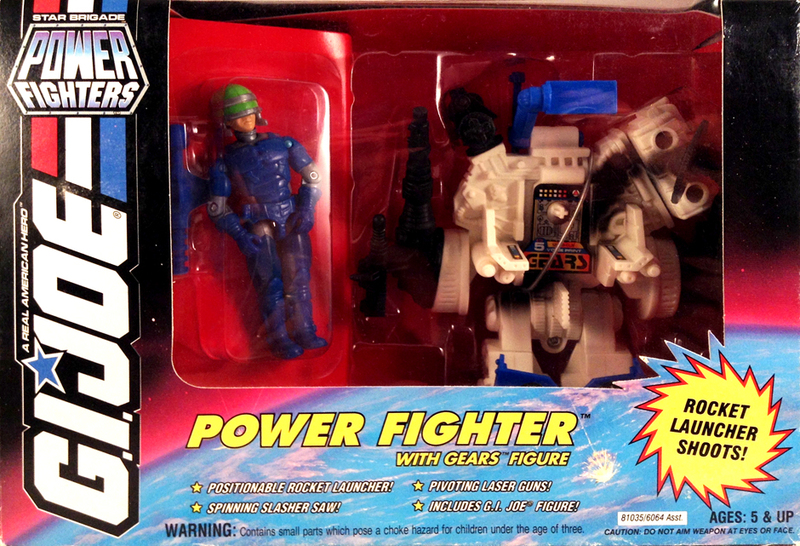 Power Fighter operators did not include figure stands. 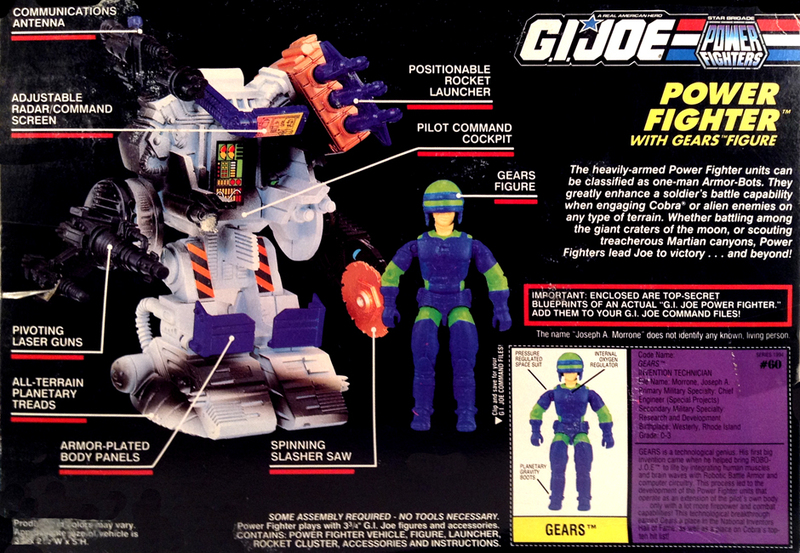 The prototype Gears figure shown on the packaging varied greatly from the final product. 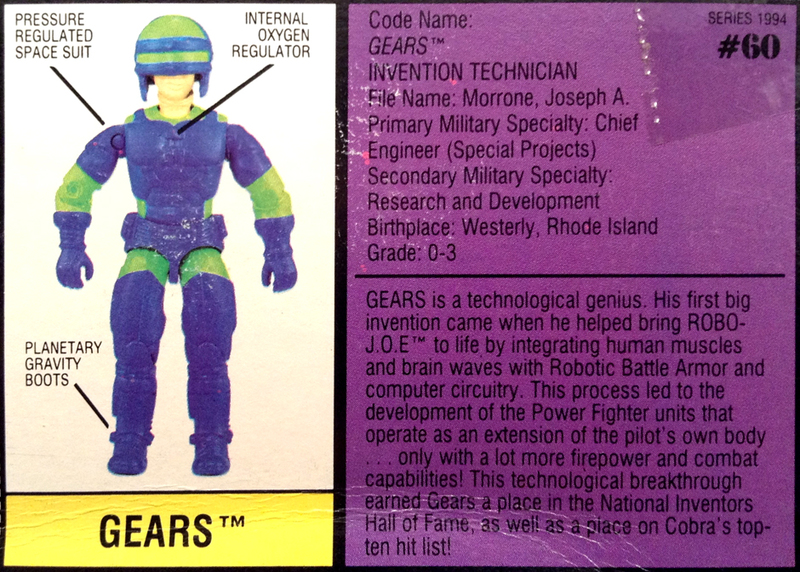 The figure's green paint apps were replaced with grey and the blue and green helmet became green and silver.